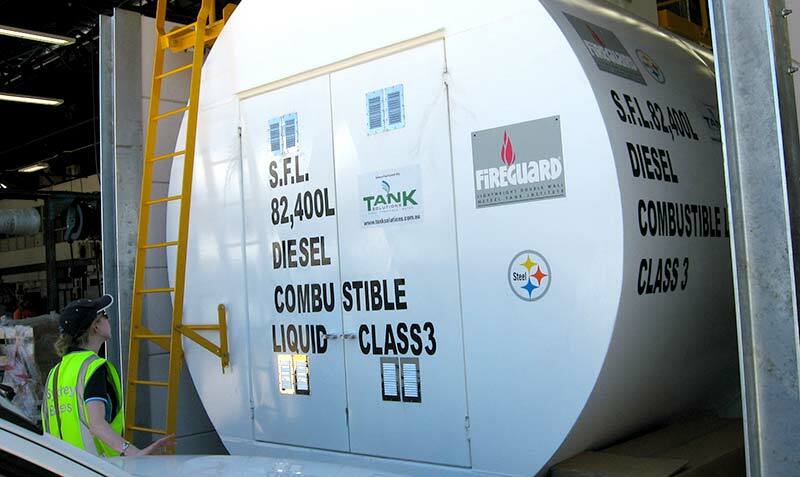 FIREGUARD ® double-wall fire-protected aboveground storage tank features an inner and outer steel tank with a unique lightweight thermal insulation material that can meet a 4-hour fire test. The Fireguard ® range eliminates the requirements for complex civil works with earthen or concrete bunds and problems associated with catchment and disposal of rain. Fireguard ® maximises flexibility and minimises field installation costs, set-up time and environmental impact, allowing easy and quick relocation whilst minimising liability and risk. Our four (4) hour rated model can reduce separation distances by as much as 50% which in turn improves land utilisation.